Great way to brighten up the room with the look of turquoise, amber's and yellows. 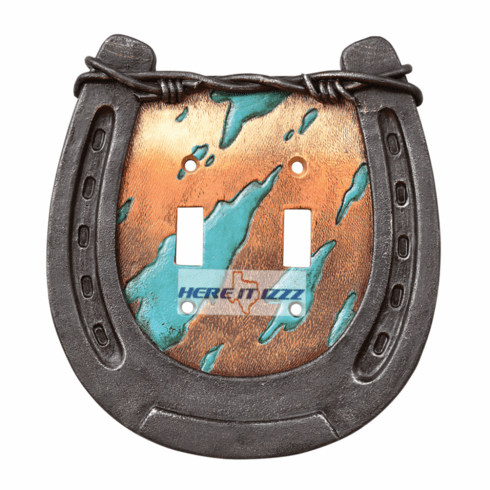 A double light switch with the horse lover in mind. Made from hardened resin that's easy to clean. Great horseshoe look with barbed wire trim. Each double light switch cover comes with matching mounting screws included for easy replacement.